Is good music good for anything? Well, you are supposed to connect to it. Make you dance. Feel happy, sad, fearless, in love, jealous and righteous and so much more. And hit you like five coffees in the morning and a few shots of cognac at night. 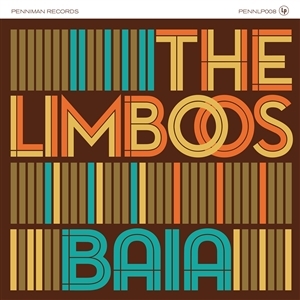 The Limboos just perfected the recipe on their new album, Baia (Penniman Records, 2019).The Limboos do what they wanna do. They know what they like and they know what you like even though that might be two different things. They work in their own rhythm and its proven you can move to that rhythm. Everybody lost a few bucks at the end of the night but nobody cares. Everybody woke up a little tired and achy and didnt feel like going to work. But they did and did it even harder the next three times that week. Lucky you caught them on a Monday night.With Baia, their third album in five years, The Limboos will transport you, without asking, to a sweet and viscous spiritual ceremony that crosses paths between Chicago from Santiago de Cuba. This new one again produced by Mike Mariconda and with 100% of their own songs you get eleven new lessons in class and sweaty elegance. Check the single "Where Did She Go?" and see. Youll just dance and maybe fall down from exhaustion and make you do things you swore you would never do. Ignoring this rotten postmodern world, they dont try to transport you to when the times were better. They are just making better times- show by show, record by record. So you got lucky and found something you can listen to in the car, the bar, the barn, at work and even on public transport. But if you choose the last one beware for pickpockets, its worth more than the cash you are carrying.